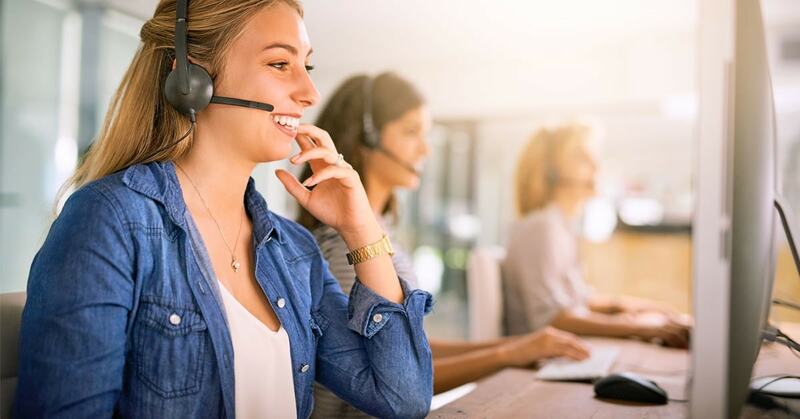 Pittsburgh Telephone Answering Service (PTAS) is the preferred answering service for your commercial businesses because we take the time to gain a deep understanding of your business and the services you provide to your customers. Partnering with Pittsburgh Telephone Answering Service means a live receptionist will respond to every call in a prompt manner. Existing clients and potential clients should never wait on long holds, or have to call back multiple times in order to be able to speak to you or someone on your team. This quick, attentive service lets your callers know that you care about them and their time. This will lead to satisfied clients, better new customer conversion rates, and ultimately increased revenue for your commercial business. You will have a 24/7 live receptionist attending to your phones at any time of day or night meaning your calls will never go unanswered. These operators are trained to handle any of the routine calls your commercial business receives, as well as emergency situations that may arise. They will follow your protocols, making the process smooth and stress free for your customers. You can customize exactly how, and the interval timing for when, you would like your messages delivered to you whether by voicemail, text message, email, or another method. You may want your messages delivered to you immediately, or maybe you want only an update two times a day. Whatever your preference, we are happy to provide that customization for your commercial business. We take pride in operating as an extension of your staff and encourage you to educate us as to the needs of your business. Each of our highly skilled professional operators are trained to be conversant in the latest terminology and protocol unique to your business so they can excel in managing your calls just as you would. For many years, we have been the telephone answering service of choice for a variety of commercial enterprises. We are active, skilled professionals trained to manage your calls just as you would. This means we can operate as an extension of your own staff so that your callers feel as though our operators are receptionists sitting in your office. PTAS provides you with a cost savings. By selecting PTAS, you will pay less than 1/3 of the cost of employing a full-time receptionist allowing you to save on administrative costs associated with maintaining an employee such as medical benefits, workers compensation insurance, and social security contributions. We understand that each and every call is important to your Pittsburgh area commercial business. Our professional operators are experienced in fielding calls from both existing and prospective customers. Our live receptionists will answer your phones 24/7, 365 days a year. On weekends, evenings and holidays when your office is closed, we will be there to answer important calls from your customers. We are here for your customers whenever you can’t be. Let Pittsburgh Telephone Answering Service be your virtual personal assistant and manage calls for your commercial business. Customer service beyond compare saves you money. You don’t have to worry about hiring and training personnel or leasing office space for reception staff.